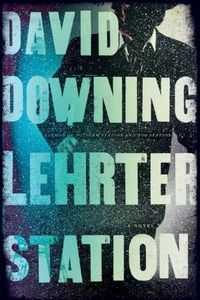 Lehrter Station by David Downing: Synopsis and Online Purchase Options. Synopsis (from the publisher): Paris, November 1945. John Russell is walking home along the banks of the Seine on a cold and misty evening when Soviet agent Yevgeny Shchepkin falls into step alongside him. Shchepkin tells Russell that the American intelligence will soon be asking him to undertake some low grade espionage on their behalf—assessing the strains between different sections of the German Communist Party—and that Shchepkin's own bosses in Moscow want him to accept the task and pass his findings on to them. He adds that refusal will put Russell's livelihood and life at risk, but that once he has accepted it, he'll find himself even further entangled in the Soviet net. It's a lose-lose situation.